The second week of being off track is now over and we are all getting a little stir crazy. With only one week to go there is still time to make some memories and have lots of fun. The moaning about having to go back is already in full swing, especially from my oldest who hasn’t warmed up to his teacher and at this point probably never will. I chalk it up to helping him build character by doing things he doesn’t like. He doesn’t agree. The Library – We finally made it over to the library and grabbed a bag full of new books to read and a few DVD’s to watch. Oldest son would only grab science books, and that’s okay because that’s what he loves. The rest are Spongebob and Barbie books. Nothing for me this time, Baby D started acting out before I dared venture into the grown up section. Next time I’m planning on reserving a little something for me so it’s super easy to grab. 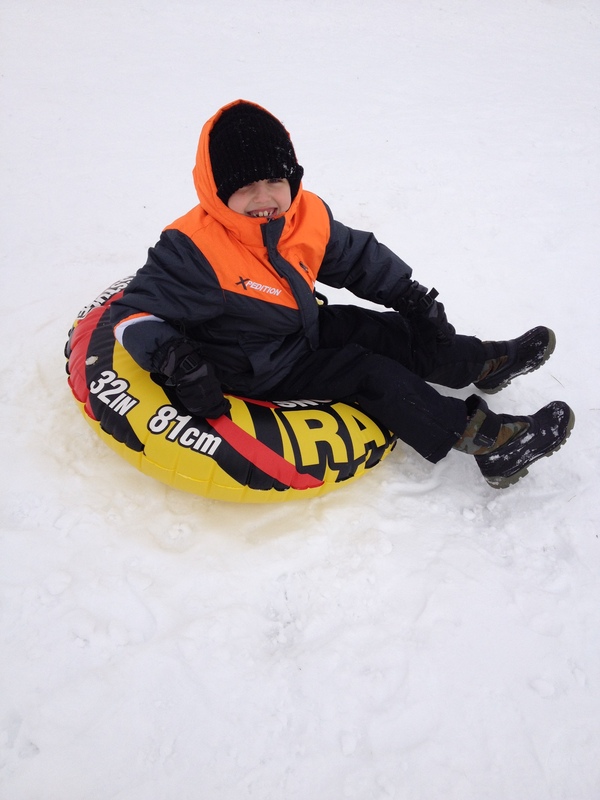 Playing in the snow – it snowed two days last week which meant sledding and snowmen! 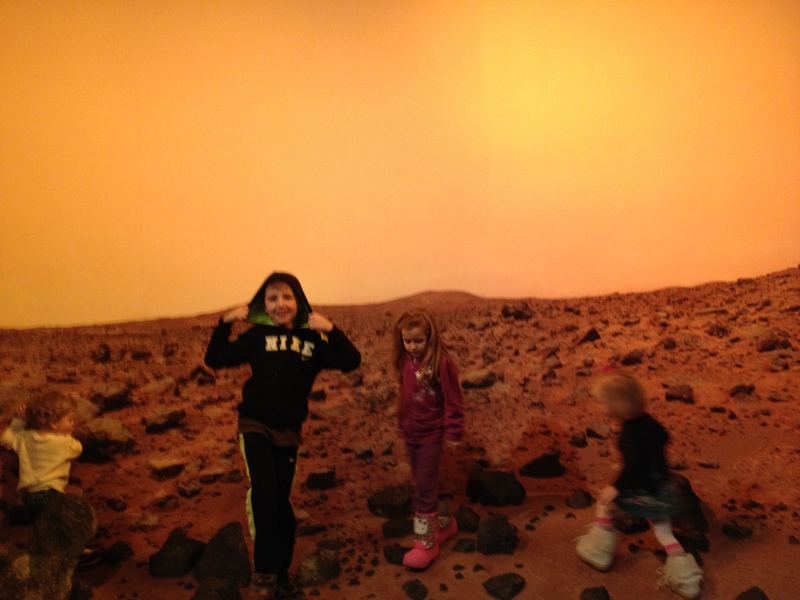 Planetarium, again – This time we went to the dome theater and watched “Ultimate Universe.” Did I mention that having a membership is really awesome? My son is already planning our next trip. More Minecraft! – I’m now hoping that the novelty of playing together is starting to wear off. I’ve spent way more time mining imaginary rock than a sane person should. It’s still pretty fun, but so much screen time is starting to put a kink in my neck and back. As for me, I’m still pretty happy about how the break has gone. I’ve managed to keep the house under control and have started a new goal with my writing using the Giveit100 website where you work on something for 100 days straight trying to improve. Most people have health and fitness goals, mine is to work on editing my book and get into a habit of working on it everyday. So far it’s working for me and I think it’s fun, I hope it lasts! As of tomorrow, my kids are off track from school for the next three weeks and I can’t say I’m 100% excited about the prospect of having them home for so long. When they first proposed year round school I had mixed feelings. No more big summer break and instead random three week breaks during odd parts of the year. Because of it my children didn’t get to celebrate Halloween at school and both of their birthdays fall during off track times as well. Some enjoy the prospect of being able to take family vacations during the off season and while it’s nice to have that as an option, chances are you won’t be going on vacation with each break. That means there are weeks with no school that need some sort of structure. It would be so easy to just let the days slide by in a blur of lazy TV watching, video game playing, and not dressing until after lunch. I’ve done it before and chances are even with the best intentions we will still be doing a lot of lazy. There is just so much time to fill and currently, not much to fill it with. Last night I tried to find a magical solution to this problem online. I searched “what to do with kids that are off track” and got hundreds of sites giving recommendations for different youth correction facilities and advice to deal with troubled children. Not helpful. I searched for “kids winter break” and had better luck although most of the activities had something to do with Christmas. I can use some of these, although I’m still limited because of the age range of my kids. In the time I wasted trying to find a plan for keeping everyone engaged and entertained without breaking the bank or my emotional well being, I probably could have come up with some great ideas of my own. The library – I love the idea of being lazy with books. My dream is one day to have the whole family curled up with great books and reading together for hours on end. 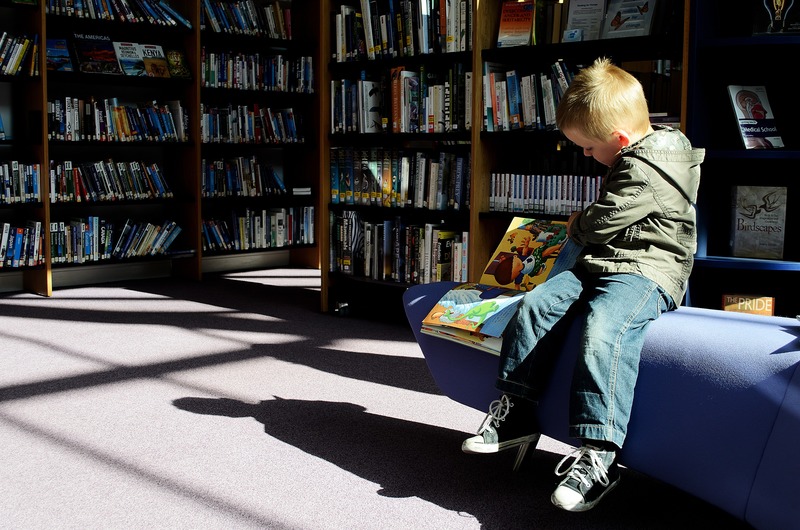 Right now that’s more difficult, my toddler has limited patience for both visiting the library and reading together. For the other two it’s still a great idea. If I’m lucky I can even find a little something for myself as well! 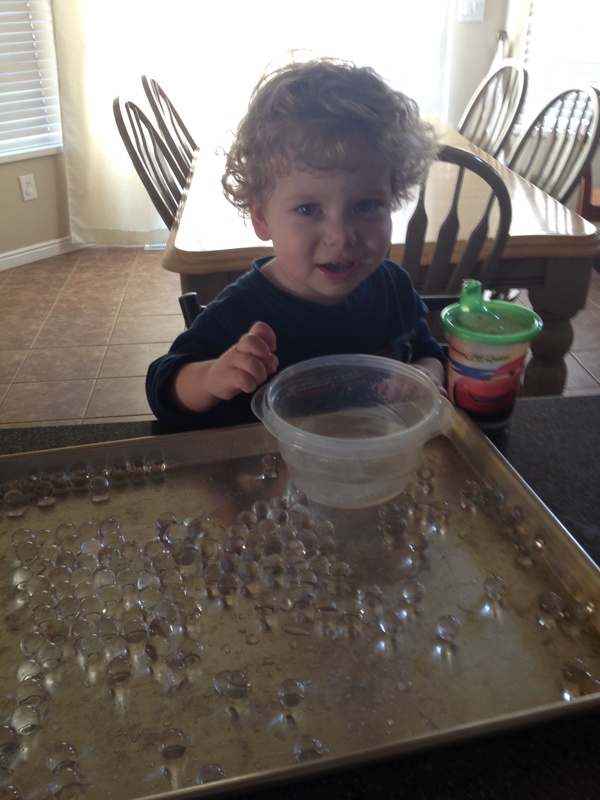 Cooking – There are so many fun treats that I’d like to try making with my kids. I’ve seen recipes for fruit leathers, cheese crackers, and other yummy kid staples that would be great to try, and healthier than the store bought versions as well. Crafting – From simple paper crafts like origami and watercolors to fiber crafts like finger knitting and bracelet making, there are hundreds of different things that we could try together. 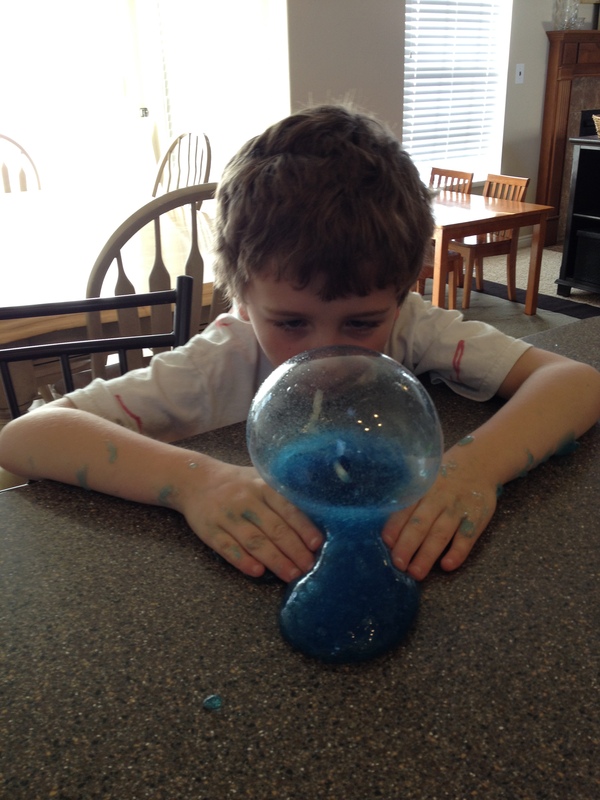 Science experiments – There are hundreds of mini experiments that can be done in and around the house. Some of the things on my list: baking soda, making slime, paper airplanes, magnets, magnifying glasses, and more. Plain old fashioned fun – Hide and seek, hopscotch, jacks, and all of those great games that have survived the years are still terrific for kids. What’s more they don’t require expensive equipment and can be done anywhere. With these ideas I’m hoping that the break will be fun for everyone – including me. There’s nothing worse than working so hard to entertain the kids that there’s no time or energy left for the stuff that I need and want to do. What do you like doing when the kids are out of school? Mondays are supposed to have their share of challenges, there are little people to dress, breakfast to make and eat, kids to get to school, and schedules and deadlines to meet. This morning was no exception. Today it started about four hours earlier than usual, 3:30 to be exact, when my oldest appeared at my bedside and calmly informed me that he had vomited on the floor of his bedroom and needed help cleaning it up. He then proceeded to tell me in lengthy description how he sat up in bunk bed leaned over the rail and then proceeded to empty his stomach on the carpet below. In my sleep addled confusion I had to ask him to repeat himself twice before I could make sense of what he was saying. At this point I can only be grateful that he had the presence of mind to not vomit all over himself in the bed. We’ve had plenty of nights in years past where this was not the case. There’s nothing quite like waking to the sounds of a child crying and finding them and everything around them covered in partially digested dinner. Cleaning up the carpet, although a pain, is at least much more straight forward than stripping a sleepy child, giving them a bath, stripping the bed, starting the laundry, remaking the bed, and then getting everyone back to sleep. Small blessings. While I wish he would have gone to the bathroom right outside his door, I can’t complain too much. There was no drama and no tears. Fast forward to breakfast, late and lazy today just like a sick morning deserves. My kids love toast. I love that my kids love toast. It’s fast and easy to make, fast to eat, and easy to clean up. 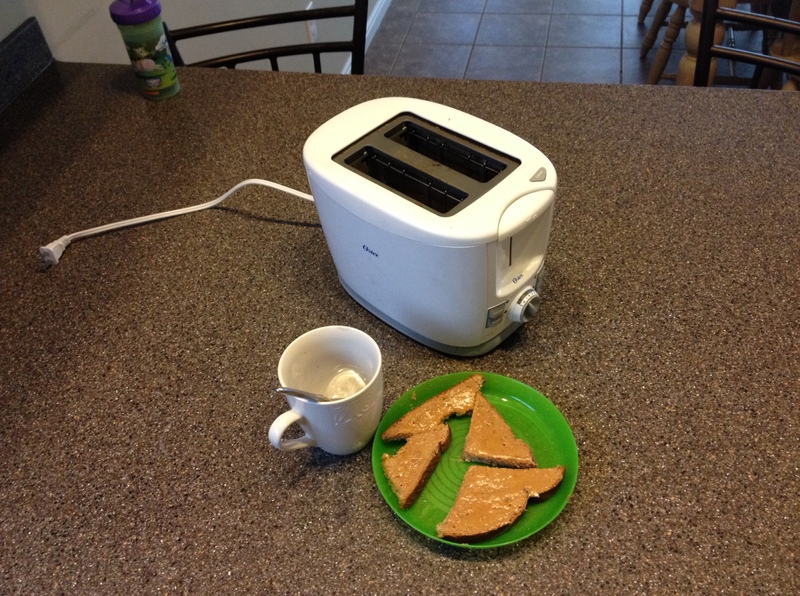 This morning however, the toaster had different ideas. I loaded it, started it, and began pouring the milk when I heard a soft zap and caught a whiff of ozone. The toaster that had accompanied us for the last ten years, had seen six different houses, two states, and the arrival of three children was dead. While it seems silly to get sentimental over the last moments of a cheap kitchen appliance, I can’t help but think that there is something significant in the loss of something that has served our family for so long. Most of our other cheap appliances have either been upgraded or broken long before, but we could always rely on the toaster. In many ways a toaster is more than just an appliance. It’s a promise of warm and lightly crunchy baked goods smothered in butter and jam and served with a cup of cocoa. It’s lazy mornings where we stay in our jammies and watch TV. It’s breakfast in bed and late night snacking. It’s comfort. And now it must be replaced. While a new toaster holds the promise of wider slots and more accurate controls it will never going to be quite the same as the old. There will be that period of learning and adjusting and finding the setting that produces the perfect shade of toast, browned on top and plenty soft inside. So many things in my life are unpredictable that I’m loathe to add yet another one. In time we will come to accept and love the new toaster, but until then I will miss the old one. A farewell to you, wedding toaster, you have served us well. Please understand that we cannot mourn your loss for too long, there are still lazy mornings and breakfasts to be made. Being the creative type means I sometimes often get distracted from taking care of the basics in my home. When I go on a writing binge, or reading, or whatever I’m obsessing over at the moment and stop picking up my fairly clean house converts itself into chaos central. Any unattended flat surface becomes a breeding ground for papers, toys, dust, books, and lost cups and forks. When the house gets messy, I get crabby. At first it’s hard to pin down why I’m starting to get more irritated. It starts as a growing unease, an information overload. There is too much to take in, too many little items calling for my attention. Each item represents a choice; put away, throw away, file, deal with. Even though clutter has sapped my mood dozens of times before, it often takes days before I catch on to what’s happening. Then there is the actual cleaning as well, the vacuuming, mopping, scrubbing, dishes, laundry, bathrooms, dusting, windows, and whatnot that eventually have to be addressed. Again, at first the slow accumulation of grime is hardly noticeable. But it is noticeable. And just like clutter and junk it, plays mind games with me. Each spot is another entry on an unending list of things to do. Now, if I lived alone I wouldn’t have anyone else to blame but myself. The house would still morph into clutter central, it would just take longer. In my case I have help, plenty of help. Three young kids have the magical ability to create mess just by breathing. As mommy it is my responsibility to teach these little ones to clean up after themselves, which can turn into a task much more exhausting and obnoxious than doing the cleaning myself. They must learn that it’s more fun to play when there is a nice clear area to do it. When their rooms are clean they are happier. So why is it like pulling teeth to get them to pick up anything?!? It’s one of the great mysteries of life. When I get off of a creative binge and start picking up and clearing off surfaces, it’s as refreshing as breathing fresh air after being stuck in a poorly ventilated subway car. While stuck in the car you don’t realize just how icky it is until you leave and get outside once again. When things are clean, my mood lifts and so does the mood of my family. Don’t get me wrong, I don’t enjoy cleaning – there are dozens, if not hundreds, of things I’d rather be spending my time doing. I’m not a psycho perfectionist either, I’ll only scrub baseboards and deep clean when things get bad enough to bother me. Often it takes the promise of listening to a good podcast while I work to get me moving. In the end, although it can be a royal pain, if keeping things clean makes everyone happier it’s worth doing. It doesn’t have to be perfect, just kept under control. Ahhh, look at those lovely clean surfaces! Today is one of those days where my “Get up and GO!” got up and went. Here in Utah we’ve entered another ice age, the temperatures haven’t even gotten close to above freezing for over a week. Even with the heat on, the air inside the house holds a chill and all I want to do is curl up under a blanket with a book and a cocoa and wait it out. And that’s not an option when you have three kids, one of which is teething. One of the best feelings in the world is waking up in a warm bed and not having to get out of it for a bit longer. Now imagine having to get out of it over an over again during the course of the night to comfort a teething toddler who sleeps on a different floor. For the last few nights we’ve done the teething toddler tango, and for everyone’s sake I hope that we’re nearly done. Sleep deprivation is only part of the reason I’m grumpy. The other reason comes in two very rambunctious packages called older brother and sister. Maybe I’m wrong to assume that most kids like sleeping in, especially on school days. Today, my oldest woke before seven and proceeded to make enough noise to wake up the other kids. This kid can do nothing quietly, he’s even sings and stomps his feet when he brushes his teeth. It’s like living in a crazy house. Breakfast, the most important meal of the day, is torture. We are on a schedule to get to school on time. I can’t have them waiting full minutes between bites all while kicking and fighting each other, or worse ganging up on who can make me more angry. The Benedictine monks had the right idea to eat their meals in silence. Where can I sign up to be one? Even now, while I’m venting writing this I have a cute little girl at my elbow talking at me about what she doesn’t want to do. I’ve given her dozens of different fun ideas to keep her amused, but because I’m the one suggesting them she won’t do them. Which is all the more frustrating because she’s the one coming to me asking what she can do. Don’t get me wrong, I love the little ankle biters. They have made me what I am today. I am fearless because of them. I have gained an immense inner strength that couldn’t have developed any other way because of them. And, I flirt with total insanity every day. No, really, this veneer of calm you see is a thin sheet of ice that is one tap away from shattering. I think today momma gets a nap.